How much do you need to live on? How much income is coming into the house? How much do you owe? Jason Hartman and lead financial counselor for Dave Ramsey, Chris Hogan, discuss Dave Ramsey’s philosophy on managing your personal finances. Chris brings up important points, such as sacrificing for the good of the family, being in control of your finances, and he lists the Seven Baby Steps to financial peace. Chris drills down on some of those steps, explaining how they work, the goal of the step, and the end result. For more details, listen at: http://www.SolomonSuccess.com. Chris talks about how people resort to tools of debt and how to get away from the clutches of credit. The Bible contains 750 references on how to deal with money, a few of which Chris expounds on. In the Book of Luke, one reference basically refers to money as a tool, and Chris explains the various ways it is to be a tool to help others. Money is amoral, not inherently good or evil. Chris also tells the Dave Ramsey story, detailing how Dave went from bankruptcy at a young age with a young family, to a successful financial educator, the founder of DaveRamsey.com and host of The Dave Ramsey Show. Jason also asks Chris to expound on the ideals of Dave’s “EntreLeadership,” a combination of entrepreneurism and leadership, which helps leaders win in business, based on sound principles. Chris Hogan stirs audiences to action wherever he speaks. Whether Chris is delivering a keynote on personal money management or teaching an all-day leadership training for business owners and professionals, the audience will be entertained and challenged. 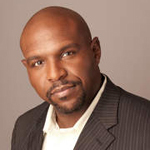 Chris Hogan is a sought-after, diverse speaker who loves to challenge, motivate and encourage business leaders, real estate professionals, military personnel and students to be their very best—no matter what! Chris Hogan might have been the most unlikely person to wind up working as a financial speaker. Why? Years ago, Chris was an All-American college football player who pushed future NFL players all over the field—far removed from the world of helping others find Financial Peace. Introduction: I have never really thought of Jason as subversive, but I just found out that’s what Wall Street considers him to be. Really? And how is that possible all? Simple. Wall Street believes that real estate investors are dangerous to their schemes because the dirty truth about income property is that it actually works in real life. I know. I mean how many people do you know not including insiders who created wealth with stocks, bonds, and mutual funds. Those options are for people who only want to pretend they are getting ahead. Stocks in other non-direct traded assets are losing gain for most people. The typical scenario is you make a little; you lose a little, and spin your wheels for decades. That’s because the corporate crooks running the stock and bond investing gain will always see to it that they win. This means his means unless you are one of them you will not win. And unluckily for Wall Street Jason has a unique ability to make the everyday person understand investing the way it should be. He shows them a world where anything less than a 26% annual return is disappointing. Yeah and that’s why Jason offers a one book set on creating wealth that comes with 20 digital download audios. He shows how we can be excited about these scary times, and exploit the incredible opportunities this present economy has afforded us. We can pick local markets untouched by the economic downturn, exploit packaged commodities investing, and achieved exceptional returns safely and securely. I like how he teaches you how to protect the equity in your home before it disappears, and how to outsource your debt obligations to the government. And this set of advanced strategies for wealth creation is being offered for only $197. To get your Creating Wealth encyclopedia book one, complete with over 20 hours of audio go to jasonhartman.com/store. If you want to be able to sit back and collect checks every month just like a banker, Jason’s Creating Wealth encyclopedia series is for you. Jason Hartman: My pleasure to welcome Chris Hogan to the show. He is the director of financial coaching for Dave Ramsey’s organization. And he is also the lead financial counselor. He is a speaker and a trainer working with Dave and helping people understand debt and money and better financial planning, and being more responsible and better stewards of their financial life. Chris, welcome how are you? Chris: I’m doing very good. Thank you for having me. Jason Hartman: And you are coming to us from where in Tennessee today? Chris: We are in Brentwood Tennessee, right outside of Nashville. Jason Hartman: Fantastic. Well, I love Nashville that’s a great town. I had a lot of fun really enjoyed it there. So surely everybody listening has heard of Dave Ramsey if not read some of his books, listened to his radio show whatever, but tell us a little bit about the philosophy in general, and then let’s drill down a little bit and see if we can enlighten some people on this interview. Chris: Fantastic. Yeah essentially as I would tell someone in a couple of sentences and less, you know one of their our goal our company’s mission is to help people get out of bed build wealth, and be able to give like no one else. Jason Hartman: That’s a fantastic mission no question about it. But how do they do that? What are some of the core financial principles that they should be using in their lives so that they don’t have to be stressed about money so that they can give. I remember someone saying one of the worst things about being poor is to deprive someone of the opportunity to give and been able to give is really a great gift. If you will, I will pardon upon. It’s a little upon there I guess, but what are some of the core things that people can do to move in the right direction here? Chris: Well, I think one of the most important things to do is to really be able to assess where you are, and understand where you are does not had to be where you end up. At the end of the day money is a moral. It’s not inherently good or bad. It goes where people tell it to go, and so what we want to do is help people engage in a financial situation, understand where they are and identify areas that they can improve on. And so we want people to be actively involved with their money, and really take control of it. Jason Hartman: And what can they do specifically to do that? Chris: Well, I think the first thing is you have to understand what is it take for me to live on from a budgeting standpoint? What is it require, income require for us to live and meet the household necessities of the home and the people that live there, so you know to take sometime to sit down to look at that. Be aware of how much you will bring home, how much do you make. You know a lot of people are so clear on their salary for the annual year. We need to know how much is coming into the house, how much is coming into the household and then the third thing is how much do we owe you know what how much do we owe in consumer debt, how much do we owe in non-secured debt you know what do we owe on credit cards and begin to really sit down and just take a look at these things on paper and have some awareness of where you’re. Jason Hartman: Okay so the simple act of budgeting I mean obviously great advice it’s a little more complicated though nowadays because so many people are entrepreneurs nowadays which is great, but they don’t have office fixed income where they can depend on it, and have a simple budget as in the old days. How do you help them when they have cash spurts? They have uneven income. They have good months, bad months, good quarters, bad quarters, good years, bad years, etcetera. What can those kinds of people do? Chris: Yeah we call that dealing with the regular income where you, you could have some really great months and months that aren’t so well and so an individual that are dealing with that type of thing we express with them. They have to know what it takes for them to live on. Then they have to understand okay I’ve got to get in the habit of having money put back so saved money so when I do have months that don’t go so well, I’ve got something I can lean back on, on my savings without having to resort to any kind of tool of debt, i.e. credit cards or whatever they try to make up for the shortfall so these people really have to be in tune with what if I only make so much. What are the things that I absolutely must pay, and that really falls into of kind of our of the four walls you’re dealing with the housing or you’re dealing with you know that includes the utilities and things like that, but food, clothing as well as being able to take care of your transportation. Jason Hartman: No question about it so would you describe Dave’s philosophy as sort of like the Thomas Stanley philosophy the millionaire next door idea of just living on the minimums or is there a little room to enjoy life and have a little fun and spend some money? Chris: I think Dave’s principle at the end of the day we want to live on less than we make. That way that gives you the opportunity to be able to save some money you know within our budgeting system that we talk about we definitely understand the importance of having some money to spend on some fun things. We call that blow money and that’s an item that’s built into the budget so it’s not going to be this unregulated type of thing. It’s going be a set dollar amount, and if it’s for husband and wife each person gets to save the same amount and you know how much they have fun on. So again we’re not saying you can’t have fun, but we do want to regulate the fun, and manage the fun, just like we’re managing everything else. Jason Hartman: So you mean one spouse doesn’t get more than the other? Chris: Because we want to have that that air of equality there that we’re playing on an equal playing field that we’re both sacrificing and working hard for the overall good of the family. Jason Hartman: So what’s after budgeting? We talked about budgeting and the importance of that I think most people would agree that that’s a pretty fundamental thing. What’s next about budgeting investments? Chris: Well, now we typically — we teach people going through the seven baby steps. We found that if you try to focus on doing 10 things all at once you are going to be ineffective in eight to nine things. So we teach people to seven baby steps because we know if you focus on doing one thing you can be really good at that one thing and so if you don’t mind, I can kind of walk through those and take some questions you may have. Jason Hartman: Yeah absolutely. Yeah tell us about the seven steps? Chris: Yeah the seven baby, baby step one is having a baby emergency fund that’s a $1000 emergency fund that you’re putting aside that gives you a little bit of cushion between life happening. Something goes wrong if there is a car repair, you got money to be able to use without having to resort to any kind of tool of debt. Now, once you have that in place then you would move to baby step two. And then depending upon how much debt people have this is where you begin to attack the debt using the debt snowball process that’s where you list the debt, smallest to biggest on a piece of paper to be able to knowledge where you are, and you begin to attack the debt. Number one, starting at the smallest, and kind of moving on down the list. Baby step three, once you paid off all of that consumer debt then you would move to baby step three which is now moving towards taking the money you were making now, and moving toward a fully funded emergency part, but that can be between three to six months of your living expenses that you would have saved in the money market or some type of account that you can access if you need to. Once you have that in place then you would move the baby step four which is investing 15% of your household income in some type of retirement account. Once you have that in place and you’re doing that baby step four, five and six are kind of simultaneous. You’re investing the 15% baby step four. Baby step five is where you begin to have college funding to be able to put money aside for the kids. Baby step six is where you attack the house begin to pay off the first and second mortgage and then baby step seven is where you’re building wealth in that stage and giving. Jason Hartman: Great. Did you want to drill down on any of those baby steps and the reason I ask you that is that I want to drill down on number seven a bit, but maybe we should talk about some of the earlier sets first. Chris: Well, I think the overall concept is aside from baby step two is where people begin to look at hey this is what I owe. This is what I owe in credit cards. This is what I owe in consumer debt. This is what I have. To me, the individual there this is where they have the opportunity to really get in terms and by getting in terms what I mean is finding things they can sell to make extra money to attack the debt. Too often times people think if I have is debt, I’m always going to have it. And the one thing we want to understand is you don’t always have to have it. It’s a choice and so you know this is where people get that opportunity to really step up to the plate, and really, really get serious. The next one I would love to drill down on is obviously talking about the emergency fund that fully funded emergency fund. Baby step three where you have now three to six months of your living expenses, we’ve done the budget so you will know what it takes you to live on. You have this money put away. You’re not touching it unless you have a true emergency, job loss or moving or something like that and so for a lot of people they don’t, they understand that when they have that money put away it’s a game changer form financially. It’s also a game changer form spiritually because now something in them has this level of comfort that they’re not living paycheck to paycheck. Jason Hartman: Yeah Chris I would like to establish, and I know this is very difficult because everybody lives in a different place and the cost of living varies dramatically, but people’s lifestyle varies dramatically as well and life situation family configuration etcetera, but is there any sort of arrange that you know is maybe the typical Dave Ramsey client or the typical American out there of monthly budget expenses what they need to basically live on because some people listening when they’re thinking about this three to six month emergency fund I want to try give some numbers, a range of numbers if we can, and I know that may be very difficult to do, but I just thought I’d throw it out. There is a benchmark. Chris: Yeah it really is just because it really depends on the household income and how many people are working Ad what they’re making their expenses. You know I can tell you that at the end of the day when people sit down, and they’re able to do that budget and again when I work with clients, and they do a budget you know they — this is their first shot. This is where they are writing down and acknowledging when they look at the check register how much they are spending at the grocery store. How much you are spending eating out? That first one budget does not mean that’s what they can do because this is where one when we are coaching people we trying to kind of push people to think you know yeah I understand you maybe spending 400 a month right now eating out, but could you do it for 200 so we can take the other 200 that you are saving in and apply it so it really is going to vary on person-to-person. I can tell you this though if when people sit down and they look at their actual budget picture, what it takes for them to live on. It’s real easy to then look and say okay we will take that number if its 5000 a month or whatever it is. It’s real easy to understand what it takes for them have a three month emergency fund or a six month by multiplying the number by three or six respectively. Jason Hartman: Good. When we talk about the — you mentioned the spiritual laws as they relate to money and budgeting and investing this is the spiritual health of a person, it’s hard to have that if the basics, the basic needs of life aren’t taken care of and that’s why that emergency fund is just a game changer as you said because it gives people a little bit of freedom, a little bit of breathing room so they can relax a bit, and maybe think more clearly. Comments on that but that then I want to drill down maybe into more of the biblical lessons here. Chris: Well, I think one of the — you’re absolutely right talking about the emergency fund because a lot of people have never had that. That’s what’s where either had them had to resort to tools of debt so when they have that, and they start to see it. They start to feel a little bit different that hey I do have something here. You know the rainy days are on there is something were to happen, it does change things for them. For us as a company you know we’re all about the biblically based principles of god’s ways of dealing with money that’s what we follow. You know there is over almost 750 scriptures on money in the Bible and so it’s — it was a topic that had a lot of discussion. It was a topic of importance because I think at the end of the day where your money goes is where your heart is, and so if we can help to understand that if they were to just take control and change some things about their outlook and their attitude and the ways they deal with the money than they can start to have a change in themselves. Jason Hartman: Yeah no question about it. Well, talk to us a little bit more about some of the Biblical principles of money. I mean 750 passages what can we learn from the Bible, and everybody sort of has the basic thing of money is the root of all evil and they are quite quoting that right I know but what does the Bible teaches about money? Chris: Well, I think first and foremost there is an overview in Luke you know it talks about that at the end of the day money is a tool. Money is a tool that’s to be used to help people and I think people look at it that way that it is something that can really help someone. You know you talk about the requirement of us to be able to take care of orphans and widows in the Bible to be able to provide for them and help them so I think the more people the sooner they realize that if I can get out of debt. Now, I do have money that I’m able to bless people with because I don’t have the strain on myself. You know I don’t think we need to necessarily help American Express Visa MasterCard get richer when we can if we attack that debt; we can have money that we can give and give more freely. Jason Hartman: No question about it so the other one is that the five talents that are commonly known story and it talks really may be that that will lead us into the discussion on the investing side baby step number seven that you were talking about any thoughts there? Chris: No I mean, I think at the end of the day we have to look at it, and not be greedy, not be to a habit where we’re making life all about us. At the end of the day we are here to help and support one another, and I think financially is where we can ever build the greatest impact in helping people that don’t have food to be able to eat. You know helping people that don’t have water in various places to get some water. But I think at the end of the day to me my biggest takeaway and the thing that I focus on is that money is a moral. It’s not inherently good or evil. It is a moral. It is there. It is a tool to be used to help others. Jason Hartman: Absolutely. It can be used for good or ill and just depends how one uses it. No question, and how one puts it to work. Tell us a little about Dave’s background and how he became so well known. He’s got a new book out on leadership I guess and I’m not familiar with that one. I just heard about it from you. Give us a little bit of his background in and help us all came about? Chris: Well, essentially you know how we all got started here as an entity, Dave was a young real estate investor had close to $4 million in property all that was heavily leveraged in the banking world. The bank ended up calling the notes as you well know every bank reserves the right and he lost everything, and in that spiral of losing everything because of all the debt he ended up having to file bankruptcy. Jason Hartman: That’s really interesting. Now what year is that? Give us out, point the time reference if you would. Chris: I will have to double check that. Jason Hartman: 70s or 60s? Chris: No, no. It was in the 90s. Jason Hartman: Oh in the 90s, oh it was recent, okay. Chris: About 20 years ago yes. Jason Hartman: So the bank called the notes how do they do that? I mean please he must have been in default somehow for them to be able to do that. Chris: I’m a former banker so I have spent 20 years dealing with money and so a bank as it was going to a merger with another bank as we all know that happens they were, they looked out and saw that there was a 24 year old kid that had almost $4 million in loans from this one bank, and so in an effort for them to kind of cleanup their books they called the notes which caused the house of cards so to speak to begin the fall. Jason Hartman: So those must have been commercial properties then with some special provisions I mean those weren’t residential, right? Chris: It’s a mixture, commercial and residential. You know calling the note is it can be done residential and commercial. Jason Hartman: I only know that been done on residential if someone violates a covenant or if it say like a home equity loan they do some rights there, but on a traditional first mortgage as long as you’re not in default I don’t know anyway they can. Chris: Particularly a provision I will send you a link on it. Chris: That the bank has the right, they can call the note meeting you have to go refinance with another company. Jason Hartman: See that’s what happened during the great depression lot, and that’s what the laws changed after that because of that, but yeah I would love to know more about that that’s really quite fascinating, and quite terrible so that was Dave’s hardship that led to the next step. Tell us what happened after that? Chris: Yeah I mean you go through that kind of pain with a young family and trying to call your way back up and on his way back up is where he really begin to devote himself to study in god’s ways of dealing with money what the Bible had to say. How do you approach it and really from that is the foundation that our company is founded upon and Financial Peace University is founded upon because going through that pain, he didn’t want anyone else ever have to deal with that. He didn’t want anyone else be that vulnerable and to have go through that as a family, as a young family, as a young father, and a young husband, and so really his pain is what caused the birth of our vision here at this company. Jason Hartman: Fantastic yeah, very good, and take us through kind of the growth of the company. I mean did it start with speaking radio shows, what was the kind of the genesis of that and may be you can integrate some ideals from Dave’s new book about leadership. What is the title of the book? Chris: The title of that book is called on EntreLeadership. It is essentially a blending of the words entrepreneur and leadership meaning that the entrepreneur is someone that makes things happen. They don’t have a lot of fear. They are aggressive. They can have vision and they go. A leader is someone that manages things. They guide things and then they move forward so Dave’s essential principles and theories of the book are if you you’re owning a business you do have to be able to go after things and make them happen, but you also have to be able to lead people. Jason Hartman: So Chris what are some of the steps or some of the teachings in entrée leadership? Chris: Well, some of the principles we teach business owners are we talk about recognition. We talk about compensation. The importance of being able to fairly compensate individuals and how that motivates people, we talk about the principles of hiring and firing you know how to do that as a business leader, the importance of financials how to be able to read been involved with your business financially and having your hand on the pulse. We talk about the importance of human relations how to be able to communicate the vision. Those were just some of the lessons that we talk about but it really looks at every aspect of a business owner everything that Dave did here. How he grew our company and he is really walking through his playbook to help other business owners. Jason Hartman: Fantastic and how did you use that in the growth of the Ramsey organization because I mean its amazing the amount of reach you have and the number of devotees and followers to Dave systems. I mean it’s just fantastic. You guys have done a great job with it. Chris: Well, I think for Dave it was really important for him that we were not any ‘corporate culture’. I think for him he wanted it to be a culture where people are connected. They understand the mission. They understand the vision, and they understand their value to the company, and the importance of us doing our jobs well, and so I think as he grew the company very slowly, very organically that he saw that and saw the value, that our turnover ratio was very low here that it can take three to six months to get hired on here because our hiring process is very methodical because we want to get the right person in the door and on the right seat on the business. Jason Hartman: Yeah it’s kind of the Jim Collins philosophy good grades, so how many people are with the organization now? Jason Hartman: Fantastic and are those outside contractors like financial planners or affiliates or in-house I mean? Jason Hartman: Fantastic wow, big organization. Chris: Yeah we’re growing. We really are. Jason Hartman: Congratulations on your success. That is truly an amazing blessing. Fantastic, well anything else that people can learn about financial success. Of course I want you to give out the website. I mean everybody listens probably very familiar with Dave’s work already, but of course any resources you have that you want to share or any more tips and techniques and philosophies. Chris: I would say definitely go to our website. Its www.daveramsey.com on that homepage, the front screen is a plethora of things that people can click on to learn more about whether it’s the financial coaching that we can do via phone call or face-to-face, learning more about EntreLeadership, the different kind of conferences that we have for it. There is a link there. There is a lot. There are some free tools on the website some on budgeting and talking about that. There is also access to Ask Dave when people can type in a question and pull up some information that Dave’s talked about on the radio or is written about that deals with a certain topic so there are a lot of resources on the web website. We are constantly looking to grow and expand it because at the end of the day we’re here to help people. Jason Hartman: Fantastic well, good stuff Chris Hogan, thank you so much for joining us today and helping everybody learn more about Dave Ramsey’s philosophy and what is going on at the organization. You guys are doing great work out there so keep up the good work and many blessings to you. Chris: Well, thank you Jason for having me. I really appreciate it, and I appreciate the time, and the opportunity to spread the word. Thank you again. Introduction: What’s great about the show is you will find on jasonhartman.com is that if you want to learn how to finance your next big real estate deal there is a show for that. If you want to learn more about food storage, and the best way to keep those onions from smelling up everything else there is a show for that. If you honestly want to know more about business ethics, there is a show for that. And if you just want to get away from at all, and need to know something about world travel, there is even a show for that. Yeah there is a show for just about anything only from jasonhartman.com or type in Jason Hartman in the iTune store. This show is produced by the Hartman media company. All rights reserved. For distribution or publication rights and media interviews, please visit www.hartmanmedia.com, or email [email protected] Nothing on this show should be considered specific personal or professional advice. Please consult an appropriate tax, legal, real estate, or business professional for individualized advice. Opinions of guests are their own, and the host is acting on behalf of Platinum Properties Investor Network Inc exclusively.